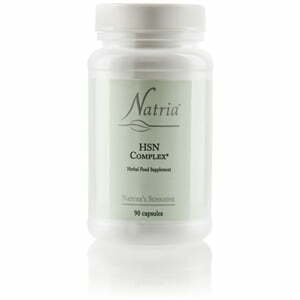 Nature’s Sunshine HSN Complex®, Natria encourages the health of the nails, skin, and hair. Highly bioavailable silica, a component found in horsetail, a key ingredients of this formula, supports structural health. Nature’s Sunshine also combines hyssop, aloe vera, rosemary, Ginkgo biloba concentrate, and Rhododendron caucasicum in HSN Complex for additional health benefits. Instructions: Take two or three capsules with a meal twice daily.